A kiss is a symbol of love and affection. But there are different types of kisses and each of them holds its own magic. We kiss our loved ones to show that we care and express how much they mean to us. Of all the kisses we receive and give, the forehead kiss is one type that is confusing to some people, but it’s making others feel like their soul is being touched. A forehead kiss can convey a lot of meaning since it’s given not only by parents, siblings, family members, and friends, but also by lovers. While it makes us feel good, there’s one underlying reason why a forehead kiss goes beyond a simple act of the lips touching on our skin. Children often receive forehead kisses as a way of blessing them. Parents, relatives, grandparents, or family acquaintances give it to them to wish them well and happy. If your partner showers you with forehead kisses, know that they truly care for you and only want the best for you. Loving someone doesn’t necessarily have to be expressed by the deeper physical intimacy that you share. It can also be expressed by a simple kiss on the forehead. It’s a kiss that says your partner loved you more than your physicality. Your presence is enough to make them feel happy and affectionate towards you. 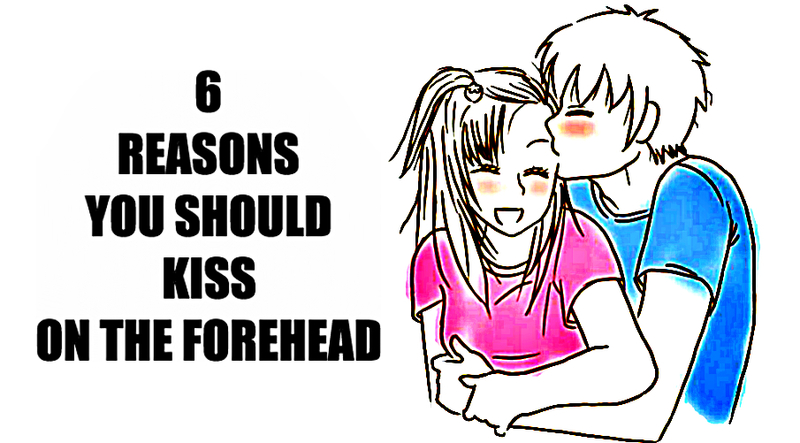 A forehead kiss also symbolizes respect. When you receive one from your loved one, it means they respect you for who you are. They respect your life, your decisions, your likes, your dislikes, and your dreams. Some grooms kiss their bride’s forehead after the wedding before kissing on their lips to show that they respect them as much as they love them. As what we’ve always known, true love isn’t self seeking. It delights in making the other person happy and accepting them for who they are. It doesn’t seek rewards but only expresses the affection it feels inside. This is how your partner exactly feels when they kiss you on the forehead. They love you more than you’ll ever know. Have you experienced feeling down but having someone by your side, embracing you while kissing you on the forehead? They may not have told you anything verbally but they do mean that they’re there by your side, protecting you and keeping you safe. No matter how fearful you feel, you know you’re able to stand strong because of the way they made you feel. In spirituality, the forehead kiss is called the third eye kiss and the kiss of the divine. It’s because the third eye chakra is located in the middle of the forehead. Kissing on that part connotes that the person is actually kissing your soul. The recipient of this kiss feels an uplifting experience because the process activates their pineal and pituitary gland. This brings a sense of security and well being, and most of all a sense of healing. Hence, all of the above meanings are founded on this truth. If there’s someone you truly and deeply care about, kiss them on the forehead because it’s an act that goes far beyond words can say.